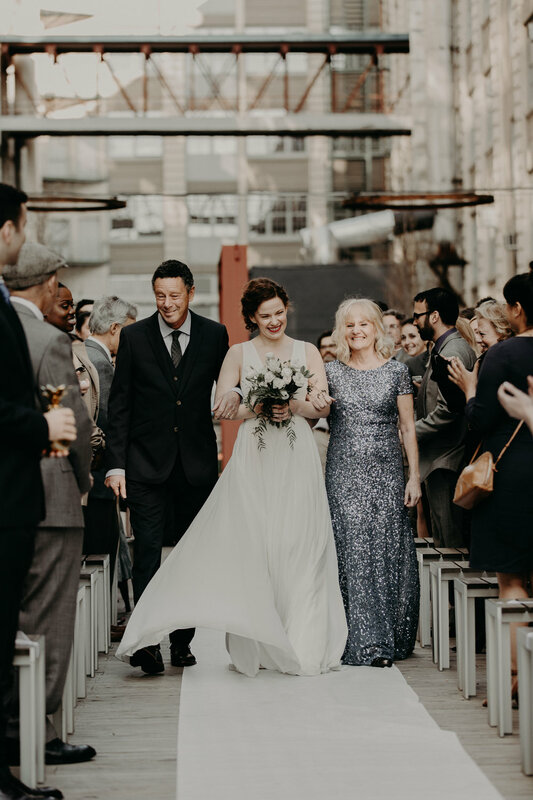 Kai + Kara's hip Industry City wedding is the stuff dreams are made of. In the hey day of stressful wedding planning and sometimes over-the-top nuptials, these two did it right IMHO. 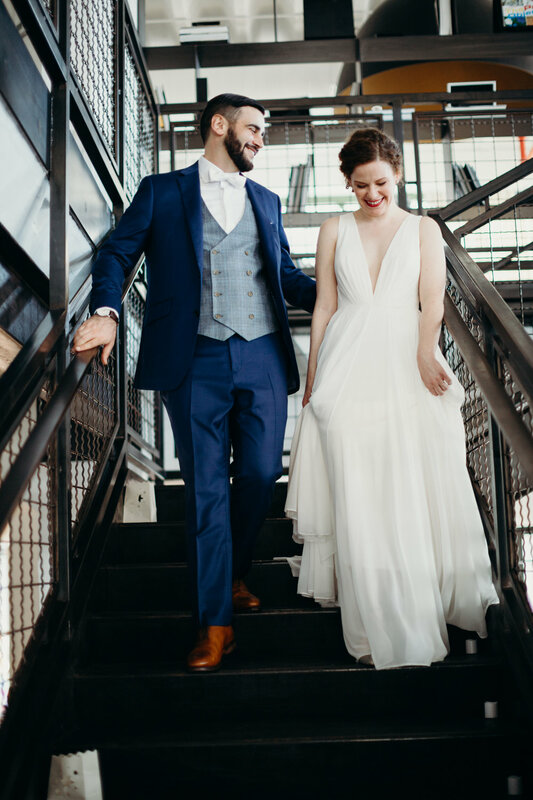 Simple, elegant, and modern, the couple opted for a sleek warehouse-style loft in Brooklyn's bumping Industry City. In lieu of a sit-down dinner was a classy cocktail hour followed by a casual buffet, then of course drinks + dancing amidst a breathtaking view of the sparkling Manhattan skyline. I had the pleasure of meeting Kai + Kara when they were regulars at a bar I once tended. 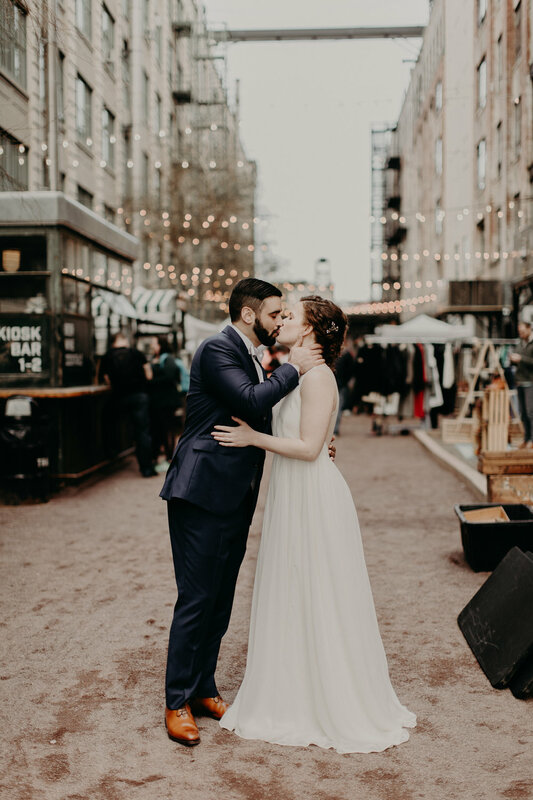 This Bay Area couple has more stamina than I could ever muster, and their connection was clear to me from the start. 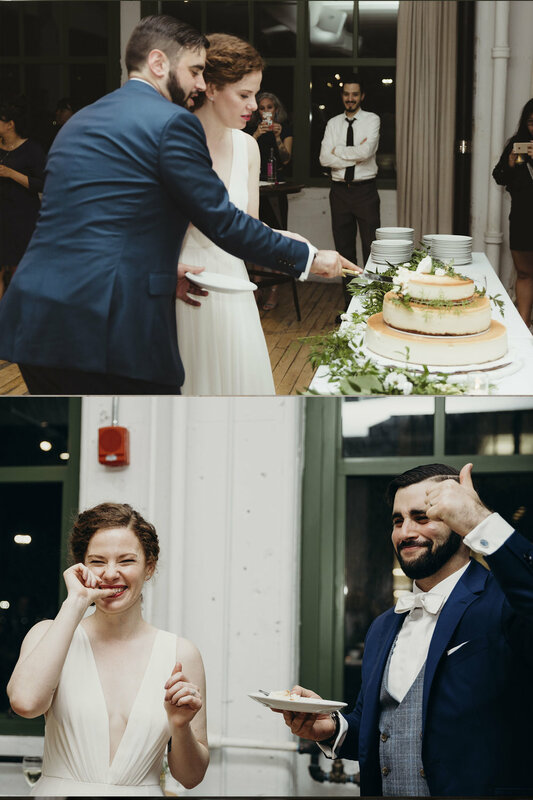 When they asked for me to photograph their special day, I was more than tickled to say the least. I have to say that this is one of the weddings I've enjoyed photographing the most to date. Congrats, Kai + Kara!